In this workshop, seasoned guitarist Adam Stoler (played with Richard Bona, Matt White and more) will share some of his most kept secrets on how to make your blues guitar sound like you mean it! Adam will focus on a number of blues guitar techniques including sound, articulation, note choices and scales, picking, and melodic phrasing as well as how to comp and play a fun diverse blues progression. Recruited by Grammy Award winner Richard Bona at age 23, Adam Stoler has since established himself as a highly sought after guitarist, composer/arranger, producer, and music collaborator whose stylistic flexibility and enthusiasm speaks for itself. 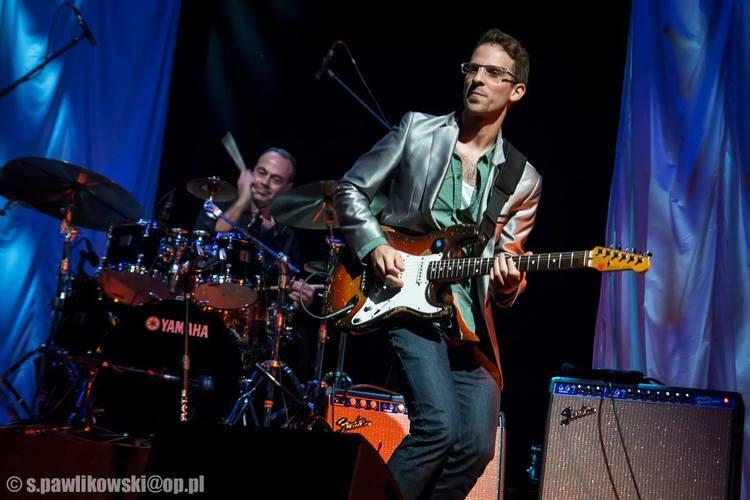 In addition to traveling to far reaches of the globe as the guitarist in the Richard Bona Group, Adam has toured and/or recorded with Pop/Singer-songwriter Matt White, Keiko Matsui, one of the best selling female jazz artists in the world, and the Grammy nominated R&B group Les Nubians. His playing has been featured on countless radio and television broadcasts around the world including NBC's America's Got Talent, Voice of America, NPR, Radio France, the CBS Early Morning Show, and on commercials for companies including Macy's, Avon, Toyota, and Wachovia. In the spring of 2013, Adam made his off-Broadway debut performing on stage in the NYTimes Critic’s Pick F#%king Up Everything, and subbed in the pit orchestra and on-stage in the 2014 four times Tony Award nominated Broadway musical The Bridges of Madison County. He is also featured in Italian cabaret songstress Giada Valenti's television special From Venice With Love, which aired on dozens of PBS stations in 2015 and continued along side a US tour in 2016. In addition to all his collaborations, Adam continues to pursue his own song writing and performing as a solo artist. Enroll for immediate access to the 59-minute class video. You may also learn more and save by bundling in two 30 minute private online lessons with Adam, essentially getting the course for free. This workshop is for the beginner as well as intermediate guitar players, who are interested in taking their Blues chops to the next level. This class was taught from the Lessonface studio in the West Village of Manhattan to an in-studio and live online audience. The recording of the class is available for new students to enroll and be inspired.